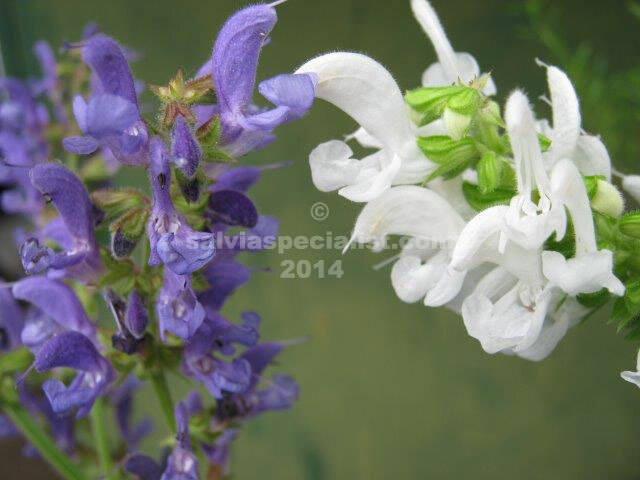 This is a worthy salvia from Romania for summer flowers. The norm is indigo flowers but in Australia there has been a good white variation as well. I have grown it in the shade and it has been quite short and not very vigorous, but I have seen it growing strongly in the sun about a metre high. It will send up a number of shoots and sprawl somewhat taking up space around it. The dark green foliage is tough and designed to survive frost and drought. It can be propagated by cuttings or seed. Plants from Europe and thereabouts seem to be designed to grow quickly after being dormant.